When you record any video there will inevitably be some parts that you don’t need and would like to get rid of. For example you may have inadvertently recorded a few extra seconds of footage at the start or end of the video, or perhaps you’re only really interested in a small segment of video somewhere in the middle. Click ‘Add Media Files’ then browse for the video that you want to edit and select it. Find the red marker above the video in the ‘Timeline’ and move it to the point where you want to split the video. Click the ‘Scissors’ icon to split the video at the point where the red marker is located. If the part that you want to trim is isolated, select it and hit ‘Delete’. Otherwise repeat steps 2 and 3 until it is isolated. Click ‘Export’ to save your video when you’re done. As long as you’re able to isolate the part of the video that you want to remove, you should have no trouble whatsoever. 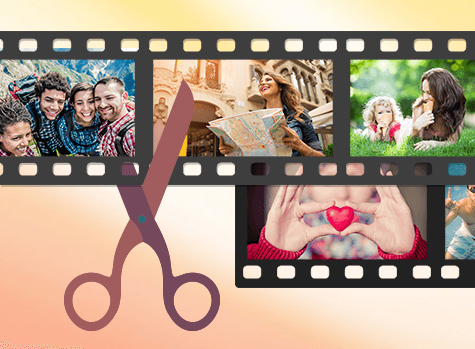 In fact you can use Movavi Video Editor to delete multiple parts by isolating them one by one and removing them. So that your video turns out exactly the way that you want, you should also look into the other features that are in Movavi Video Editor. It can merge clips together, enhance the video quality, apply special effects and filters, add customizable text, include background music, and much more. Take your time and decide on the footage that you want to include in your video, as well as whether you want to merge any other videos along with it. Once you do you can then use the other features in Movavi Video Editor to give it some flair and polish – so that it really does look amazing.